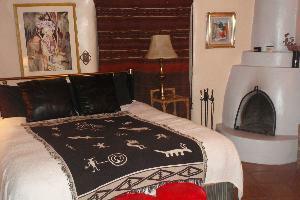 Touchstone Inn is a quiet adobe estate secluded among tall trees at the edge of historic Taos Pueblo lands. 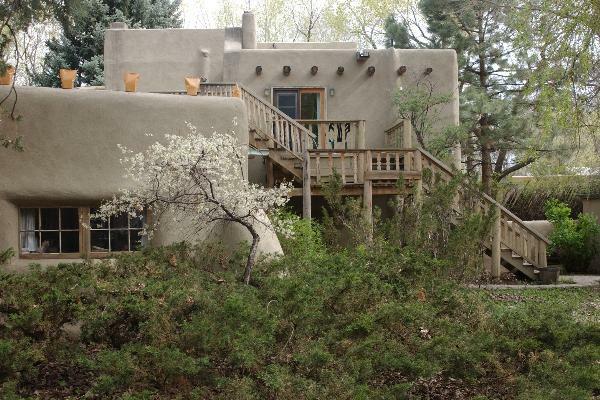 Close to everything Taos, the grounds have choice views of Taos Mountain Lands within the town of Taos, just a short walk to Taos Plaza and Kit Carson Park music and fair venues. 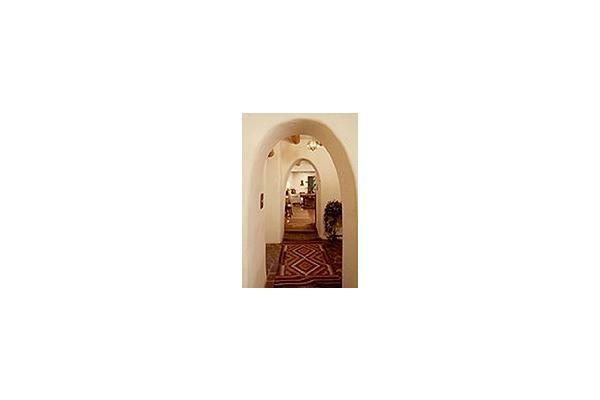 Mature trees, extensive gardens, trickling fountains, and the sound of the Rio Pueblo which crosses the property, add to the ambiance of Touchstone. 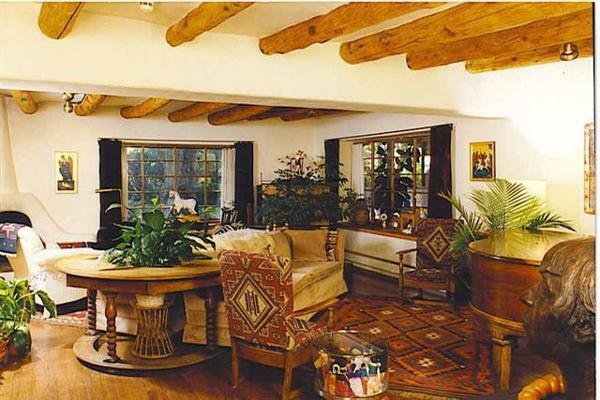 USA Today calls Touchstone Inn “THE place to stay in Taos.” Optional breakfast at Touchstone is separate from lodging and is vegetarian with gluten free accommodation, must be booked separately. 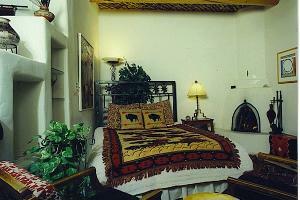 Some rooms have fireplaces and each room has private on-suite bath, refrigerator and microwave. 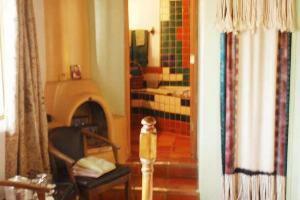 The Taos spa is an independent entity and offers massage, yoga, facials, and therapeutic baths and wraps. 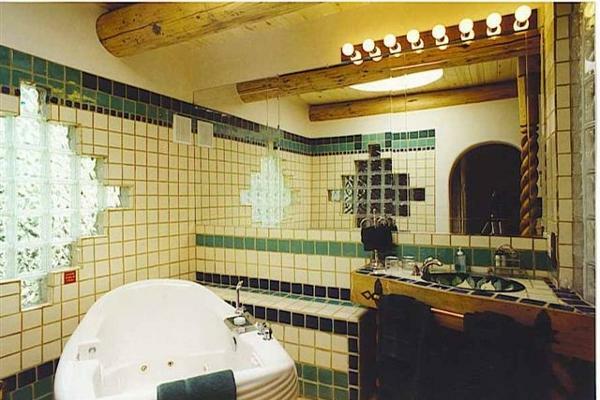 Second floor room with a queen bed, soaking tub large enough for 2, TV, Coffee/Tea and Wine service, microwave, fridge, private deck with seating and views of the property and of Taos Mountain, private entrance. Named after Dora Kaminski Gaspard, this room houses one her works of art. 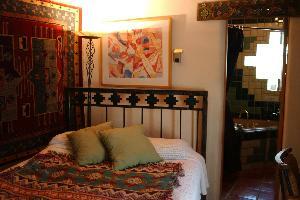 The Frida houses a self -portrait of the artist - there are many portraits of Frida by Bren Price throughout the inn. 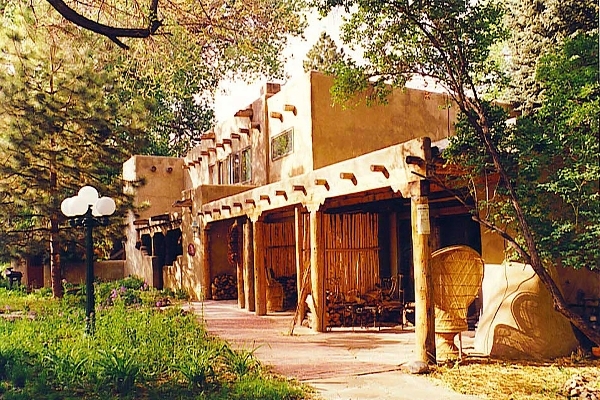 Named after D H Lawrence who visited Taos quite often and was given a ranch from Mabel Dodge-Luhan. Named after Mabel Dodge Luhan. Named after Georgia O'Keeffe, this room houses one her works of art. 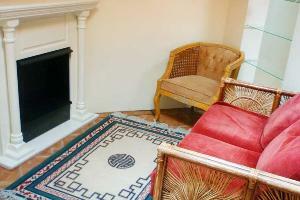 This is a sumptuously appointed two-room suite on the second floor. Named after Tony Lujan, husband of Mable Dodge and a member of Taos Pueblo -- this room is decorated with the art of Bren Price. This room is named after Cowboy Hall of Fame artist who once lived here. Entrance is located inside the Inn on the second floor it features a queen and a full-size beds and a couch that can sleep one. 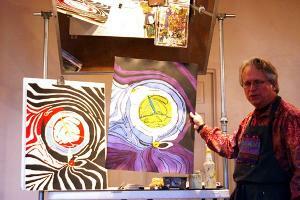 7 Nights Lodging and 6 days of Drawing and Travel around the Taos area. 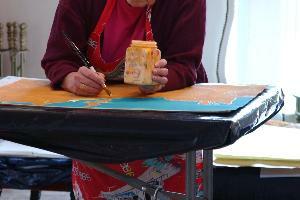 The Second week we will Paint the Drawings we did traveling around the Taos area, or you may use your Photos if you cannot attend the first week, and Photos will be provided as well. The Second week we will Paint the Drawings we did in the First week, or you may use your Photos if you cannot attend the first week, and Photos will be provided as well. 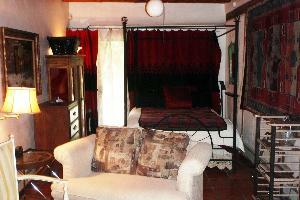 All rooms have a two night minimum and can be booked online. * Full gourmet breakfasts served daily and we can meet most dietary restriction or concern with advance notice -- must opt-in advance, charged separately, no tax, please call. 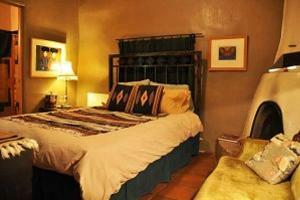 Close to everything Taos; we celebrate many restaurants nearby that serve breakfast, lunch and dinner. 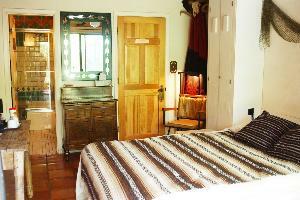 Most rooms have private patios and outside entrances, only the Woody Crumbo Rooms does not have. Rooms have refrigerator and microwave. All floors are either wood or tile. 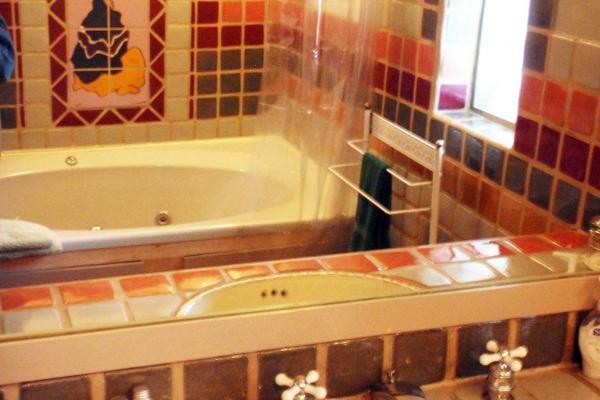 Four rooms have Jacuzzi tubs. 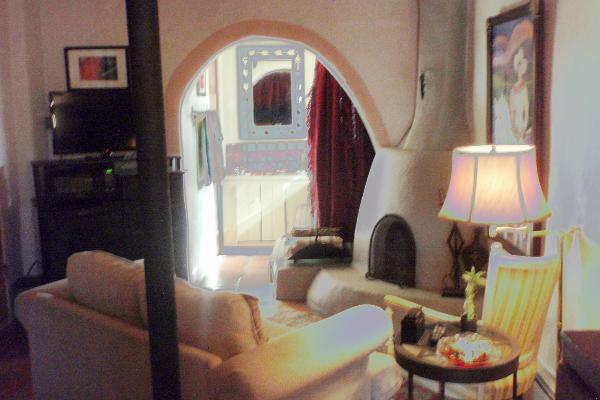 Some rooms have traditional, wood burning, Kiva fireplaces. 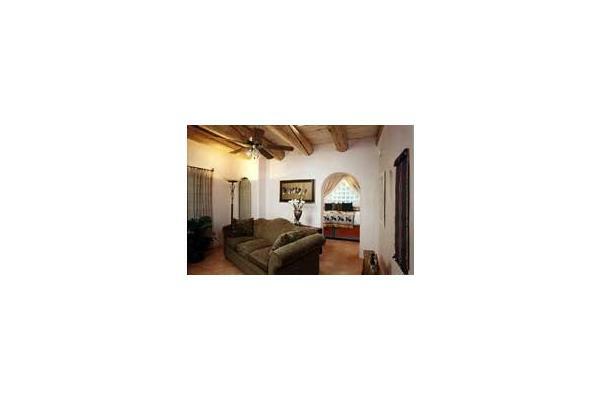 Secluded in town, Mature Trees, Gardens, Mountain Views, Rio Pueblo, borders Pueblo Lands, Art Workshops, Original Art, Weddings, Seminars, Studios, Wireless Internet, On-Site Parking, Far Infrared Sauna, on-site Spa Services, Adjoining Rooms, Catering Services, Ceiling Fans, Jacuzzi, Meeting Rooms. Skiing, Rafting, Snowboarding, Hiking, Biking, Casino Nearby, Golf and Tennis Nearby, Pool and Workout Rooms Nearby, Gallery, Artwork for Sale, Non-Smoking, Ice Machine, Sightseeing Brochures, Wood Burning Fireplaces, Candle Kiva Fireplaces. 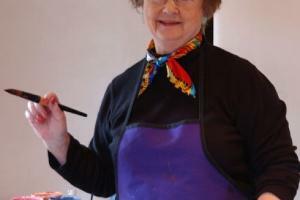 Workshops, Weddings, Retreats, and Seminars on site. Rates are subject to change without notice. All reserved rates are honored according to the rate and date on which they were booked. Booking Dot Com and Expedia, neither American Companies, do not make it clear that their rates do not include breakfast - you are paying only for lodging, taxes and processing through these agents to which we pay 15% to 20% commission. Online travel agents - OTAs are destroying the hotel industry, hijacking websites and redirecting traffic. Tripadvisor is the bully of the industry, showing us unbookable unless we pay their extortion. Please book from our secure Official website https//www.touchstoneinn.com. 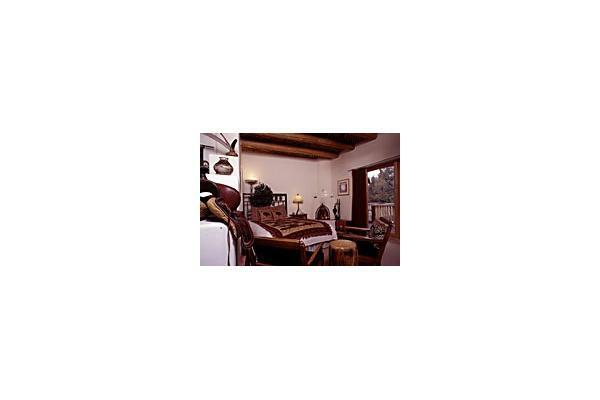 Touchstone Inn is a Boutique Hotel, not a bed & breakfast. We have not changed the inclusive pricing of our nightly stays for years, but we have separated out the optional breakfast fee from the lodging charge so that you do not pay almost 15% tax on food and we do not pay 15% to 20% commission on food. We celebrate many restaurants nearby that serve breakfast, lunch, and dinner. Please, let us know as soon as possible if you OPT-IN for breakfast and if so, whether you have any food allergies. Must be booked separately. We need to know before your arrival if you are going to have breakfast so that we can prepare for your visit. Thank you for your understanding. Booking a reservation authorizes us to charge your Visa or MasterCard and serves as a virtual signature. Booking your reservation allows you to enter your card information which is charged automatically because of Credit Card Compliance Rules. If you are not booking online, we reserve the right to cancel your reservation if you do not provide us with credit card information in a timely fashion (within 48 hours of booking). Call us and we will do our best to accommodate your needs. 575-758-0192, or text 575-770-3246. We can usually fit in odd nights, but this must be done manually. We have a two night minimum stay [(three nights during Thanksgiving (Nov 23 to 25th) and Christmas (Dec 23 to 26) holiday)] unless filling a slot, any one night booking must be confirmed by telephone, and we reserve the right to move you to a comparable room or to upgrade you at no additional charge should the need arise. One night stays do not appear on on-line calendar and are charged the regular room rate, no discounts apply. Arrival time: Generally, Check-in is from 3-5 PM. Early arrivals OK - call to see if room is ready. Late arrivals are no problem. Special instructions are left at the guest entrance door so that you may arrive at your leisure. Check-Out: 11 AM. We will charge an additional night fee if you have not departed by 12 noon. Because of credit card Compliance Rules, the full amount of booking is charged in one transaction. You must cancel your reservation 15 days prior to arrival, for a refund minus cancellation fee of $75 or 15% of total deposit - whichever is higher; otherwise you will forfeit the entire deposit and will receive no refund of any kind if you cancel. 100% non-refundable of a one night stay is required when you book. If you book on the same day that you arrive then 100% of the balance is due at the time of booking and is non-refundable. You are responsible for payment of all nights reserved regardless of the actual arrival or departure date so if you leave a day early or arrive a day late you are responsible for full payment and will be charged. If you give us a card number that is declined for any reason, we must charge 4% for each submission to the processor because they charge us a fee for every submission whether declined, canceled or approved. In some cases, if there is a proven medical emergency or valid weather hindrance, we will, at our discretion, issue a voucher for a future visit - not transferable and not valid for holiday even if original was for holiday. 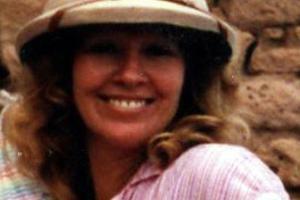 Examine your confirmation closely and purchase trip insurance if needed. BREAKFAST: Lodging rates have been reduced to reflect breakfast charge; because the tax rate is different, our full gourmet breakfast has been separated out from the lodging fee, and is not included in the booking amount, but is an added fee for $20 per person which includes beverages and is charged when you book - let us know in the comments section when you book if you choose not to have breakfast with us, or OPT-IN. 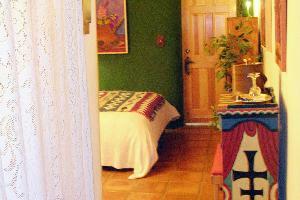 Room rates have been adjusted to reflect this separation. Dinner may be booked 48 hours in advance on a Prefix menu. Write in comments section your meal reservation requests. One half of the amount due is charged upon booking as a deposit and is non-refundable. The other half is due 60 days prior to arrival. If you cancel your reservation you will forfeit the entire deposit and will receive no refund of any kind; in some cases, deposit may be transferable, but is not refundable. If special arrangements are made, balance may be delayed to within thirty days of arrival; however, you are financially responsible for your entire confirmed stay and will be charged for nights reserved but not used. 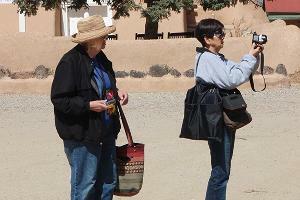 Examine your confirmation closely and purchase trip insurance if needed. Rates are subject to change without notice. 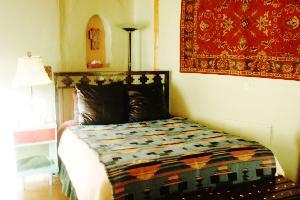 All reserved rates are honored according to the rate and date on which they were booked. In some cases, for group workshops, a package is put together with uniform lodging rates charged to participants which does not reflect the size or amenities of the room. Please do not complain to us that your room is not as nice as another person's room who paid the same price as you did, as all rooms are unique and we are offering a package deal to your workshop presenter with much lower lodging rates than regular rates. If you cancel, you do not get your money back - your room was taken off the market so that you have the opportunity to enjoy being here - use it, or loose it. CANCELLATION POLICY FOR SPA SERVICES OR FOOD SERVICES: Payment is due in full upon booking and is non-refundable. Charges for meals are separate from lodging and are booked separately. SPA SERVICES must be canceled 48 hours prior to appointment for refund minus the fee for each of the services scheduled with the therapist (one dollar per minute of scheduled service -- either $60 or $90 dollars per service item) and for credit card and handling fee (add $30 dollars to the charge for the therapist). If the room is damaged in any way from your stay then you are responsible for all fees associated with the repair. Pet damage or smoking damage is an automatic $250 fee. The Inn is open year-round. 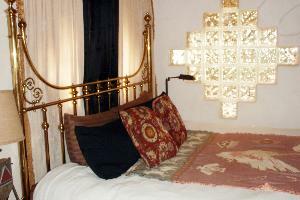 We have two rooms which can accommodate small children, please call. Our EID ruling states that we cannot take children under the age of 12 without specifically informing parents of need for close supervision because of the proximity of the river. There is a river on the edge of our property and children must be supervised at all times. Non-smoking: We are a non-smoking inn. Smokers willing to smoke outside, away from balconies and rooms are welcome! Pets: To maintain high housekeeping standards, we have a very restrictive policy toward pets. We do add a $50 non-refundable pet deposit for each pet. If your pet does not meet our specifications, we can refer you to a nearby veterinary clinic that boards visiting pets. Dinner or Snacks: Consider having our classically trained and professional Executive and Pastry Chefs make you dinner or snacks. Chocolate covered strawberries, cookies, small cakes, and fruit trays can be added for $25 per item. 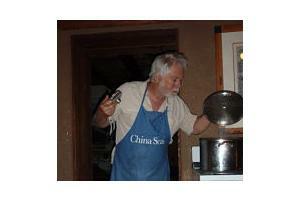 Fees for dinner will vary depending on cost of the items and time taken to prepare your meal. Dinner reservations must be made 48 hours in advance and are based on a Prefix menu. Spa: Consider scheduling massage or spa treatments before your arrival to assure a place on the therapists' schedule. If you need to cancel then spa services must be canceled 48 hours prior to appointment for refund minus the fee for each of the services scheduled with the therapist (one dollar per minute of scheduled service -- either $60 or $90 dollars per service item) and for credit card and handling fee (add $30 dollars to the charge for the therapist). Packing: Be sure to bring things so that you can dress in layers. It does get chilly when the sun goes down even in the summer. In the winter consider packing wool socks instead of bulky winter boots, and silk long-johns are a must for your comfort, male or female. Remember, the air is dry so bring your favorite lotion too! Information: We are happy to provide information on local facilities and events: Restaurants, Shops, Museums, Indian Pueblos and their Dances, Music and Art Festivals, Winter Skiing and Summer Hiking and Rafting. We have compiled maps and guides to help you plan your days. Please visit our facebook page too. 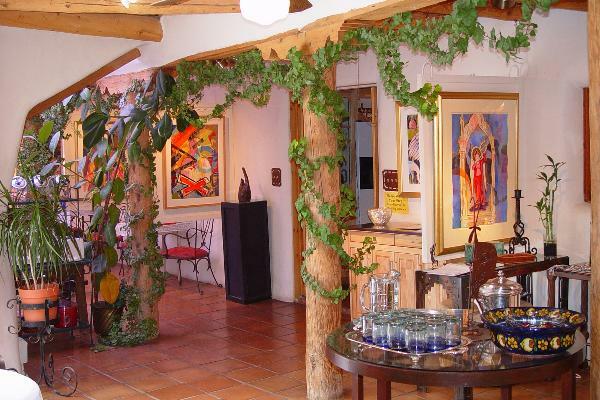 We look forward to your visit, aqui en Taos!